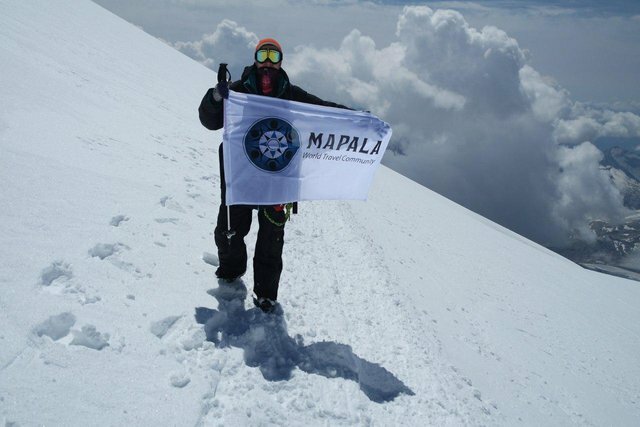 The Mapala flag at the peak of Europe! 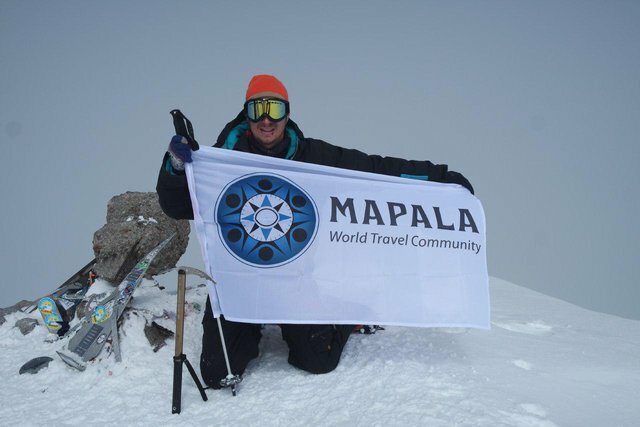 Let me introduce you Constantine, a member of a community of travelers Mapala. 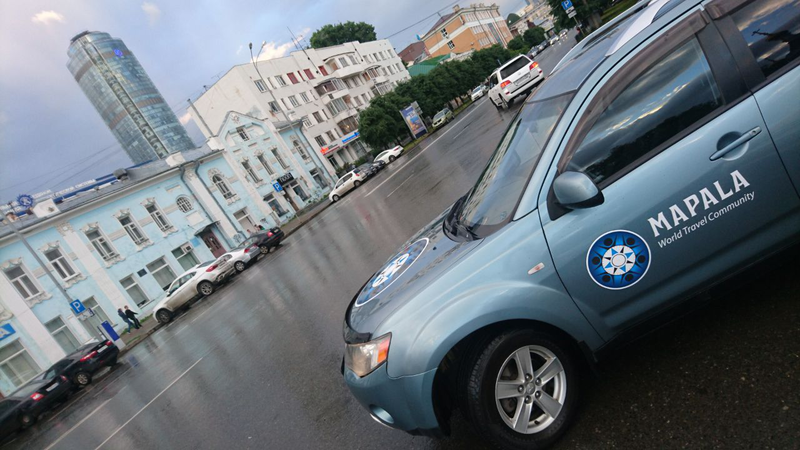 This guy was first who made mapalacar to himself. But as a true Mapala adept, he had not been satisfied with what has already been achieved. On August 17, Constantine with his friends set out a journey to the highest mountain peak in Europe to plant a flag of the community of free travelers! Mount Elbrus (Karachay-Balkar: Минги Тау, Miñi taw, Kabardian: Ӏуащхьэмахуэ) – is a stratovolcano in the Caucasus (5,642 meters above sea level), the highest mountain peak in Russia and Europe (if the Europe and Asia border is outlined by the Greater Caucasus Mountain Range or further south). It is included in "The Seven Summits", the list of the highest peaks on the planet. 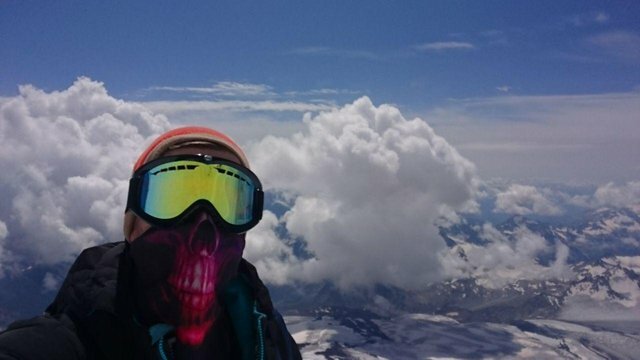 "After ten days of acclimatization in the vicinity of the Mt. 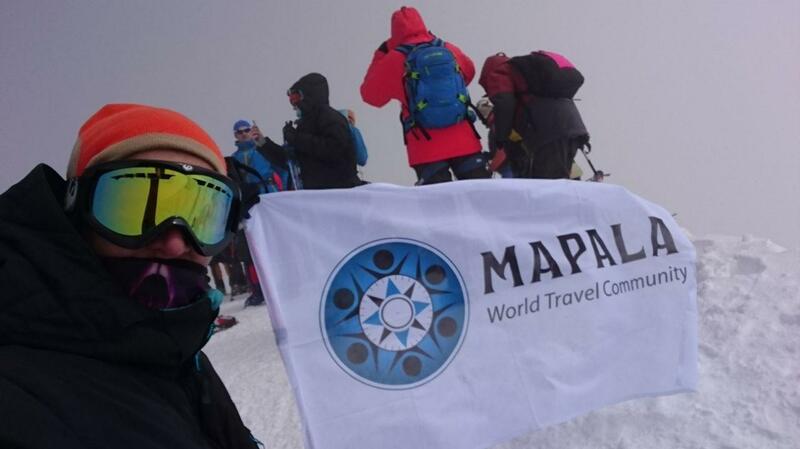 Elbrus and despite the hardest weather conditions (mountain thunderstorms), today the flag of Mapala was raised to the western peak of Mount Elbrus (peak of Europe) at 5642 m above sea level. Hooray, comrades!" 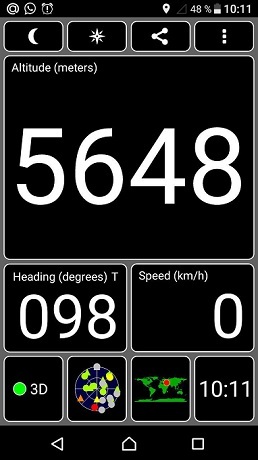 Five thousand six hundred and forty-eight meters above sea level! Mapala fever in full swing!